You will want to ensure notifications are turned on to ensure you receive requests to work from your Employer. 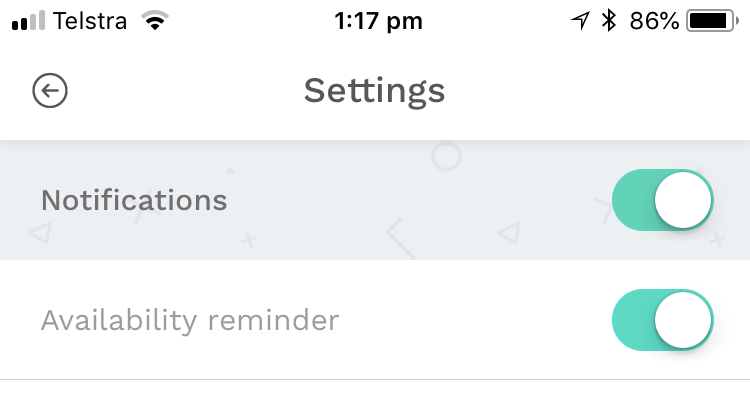 Within the canüwork app, got to Settings and tap on Notifications. This should show two switches for turning notifications on and off. Green means they are on. If the main Notifications switch is off, attempt to turn it on. 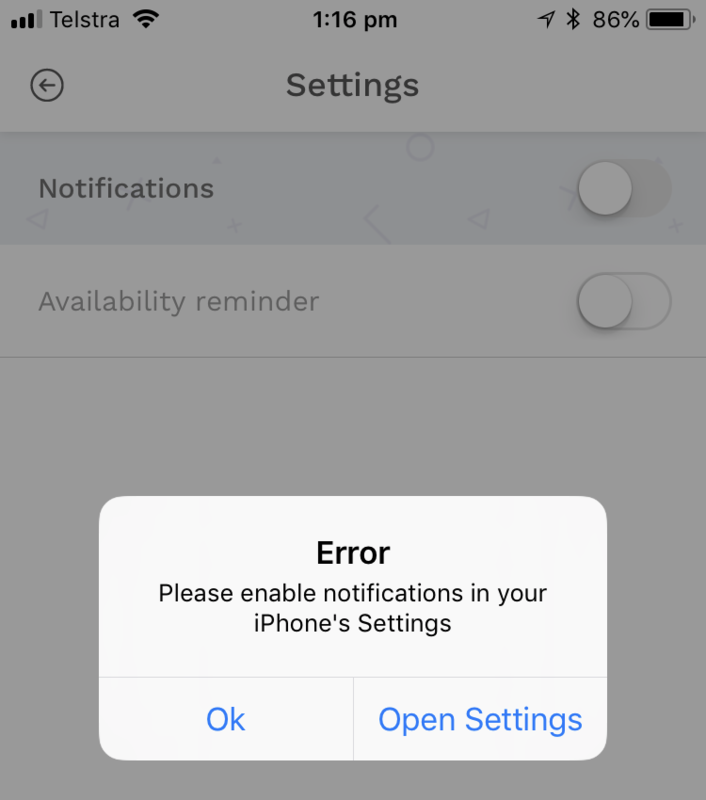 When switching this on, if you get an Error as per below, it means the app notifications are disabled in the iPhone settings so tap on 'Open Settings'. This will take you to the iPhone settings for the canüwork app. Tap on Notifications. You will then be able to enable notifications for the canüwork app at the iOS level by switching this on. 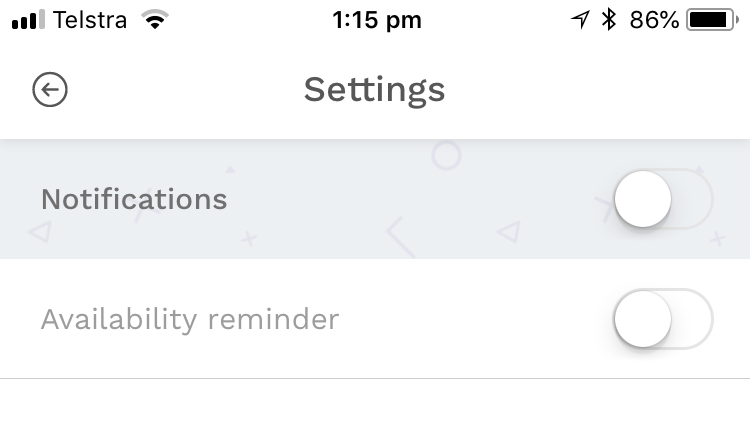 Note: You will still need to turn on notifications within the app after this step. 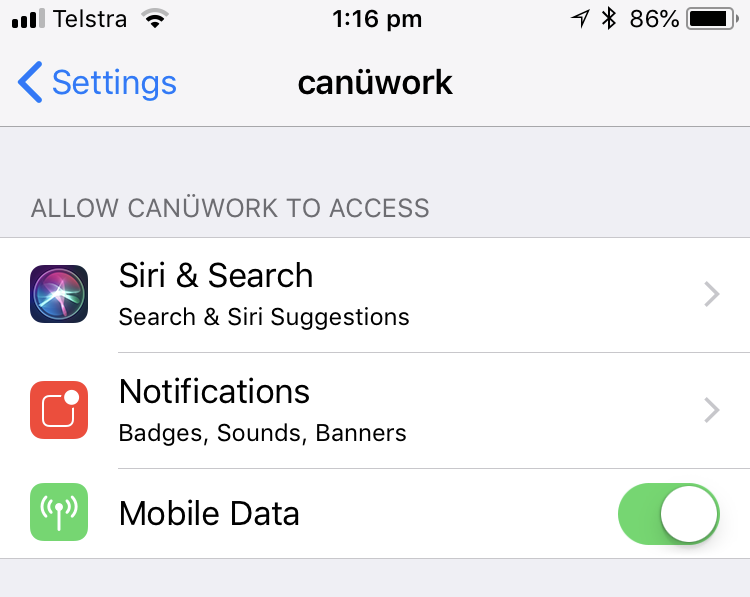 Finally, open the canüwork app, go to Settings then Notifications and turn on both of the notifications switches. You will now receive notifications from canüwork.